My eldest, Mia, is absolutely obsessed with her teddies. Her bed is full of them, which can be a pain when I tidy her bed. However, it's so lovely that she finds so much comfort in her teddies. She had two main teddies that mean the absolute world to her. She has one large teddy that was given by her aunty and uncle from her Dad's side when she was around 2 years old and her other teddy was given to her on her first Christmas by her Aunty Trina. They are in her bed every single night, and she will not sleep if they're not there. The large teddy has to be sat in her certain position in the corner of her bed, which reminds me so much of myself. When I was a child, I used to have a teddy placed in each corner of my bed. I always felt uncomfortable if there was nothing there and struggle to sleep. I never had a favourite teddy as such but I did have a certain dog teddy that I adored, but unfortunately, I'm not quite sure where it is now. However, I did have a baby doll which I was obsessed with. I've now given her to my girls, and although they don't really love her as much as I did when I was a child, it's nice seeing my own kids playing with her sometimes. It's so sweet when I see that Mia counts her two favourite teddies as her friends and she is so protective of them both. 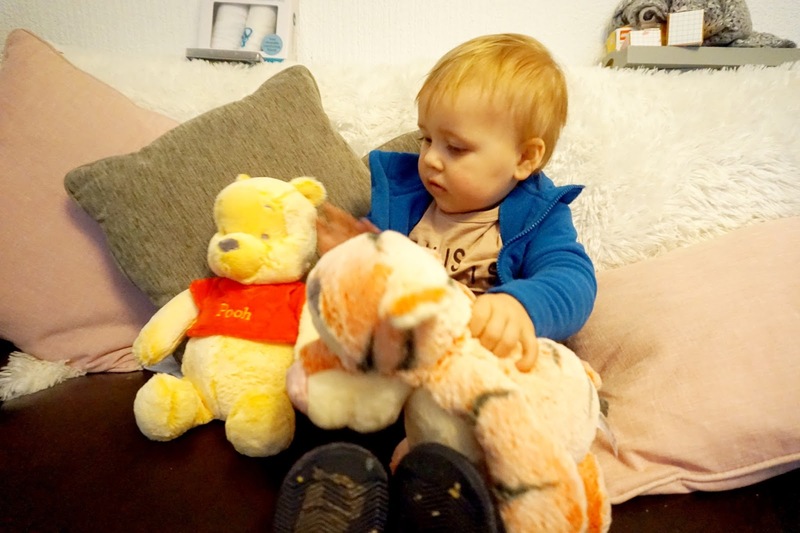 It's lovely to see that a child has so much comfort with a teddy. Elliw had comfort with her blankey, whereas Freddie doesn't really have a comfort, as yet. He does like his baby doll that he got for Christmas, and he plays with her a lot. Disney has brought out a brand new Snuggletime Winnie The Pooh Plus Range, and it's absolutely beautiful. I love Disney and have always had a big love for Winnie The Pooh - he has to be the cutest little bear, right? 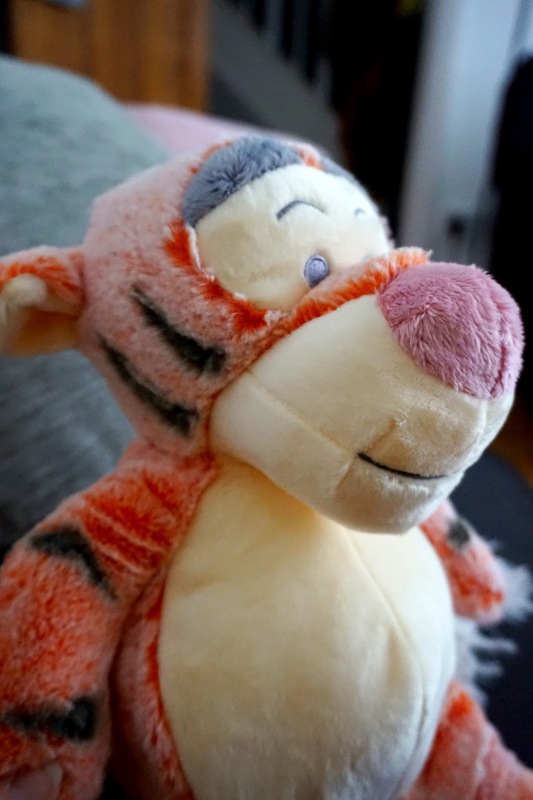 I was sent two plushes from the range, Winnie The Pooh and a Tiger who is just as cute. They also do an Eeyore, who is super adorable and most definitely one of my favourite Disney characters. The range comes in three different sizes; small, medium and large. We were sent the medium size plushes which are 12". I adore the soft toned colours, the high quality and how super soft and cuddly the plushes are. 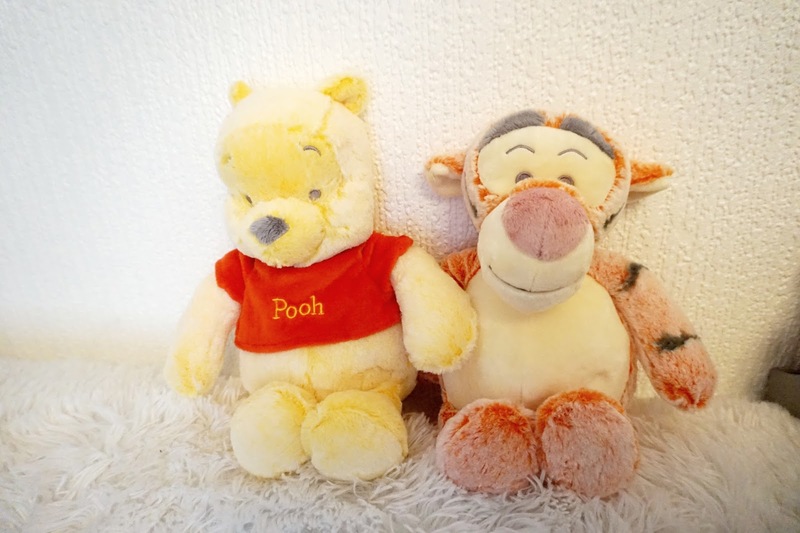 They are definitely the perfect chunky soft plush to have snuggle time with and the best friend to have for a child. Not only a child, but these may become an interest to some adults too. Possibly ones who just adore Winnie The Pooh? I do. These plushes by Posh Paws are such fab quality, and I personally think they are at a reasonable price (£12.99 - Prices may vary). The perfect gift for a new baby or a first birthday/Christmas. 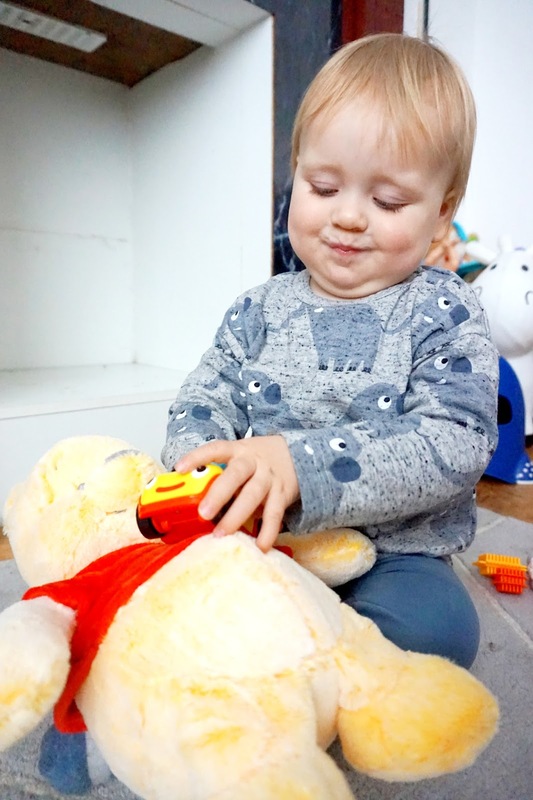 Your child is sure to make lots of memories with this little bear and his friends. Also, there will be a UKmums.tv Posh Paws Winnie the Pooh takeover going live on the 12th of February where the will be free downloads and competitions too! Along with a twitter frenzy. Would be fab if you could join. You can view the Snuggletime Posh Plush range on the Argos website. * We were given these products free of charge in return for an honest review. However, all words, images and opinions are entirely our own.